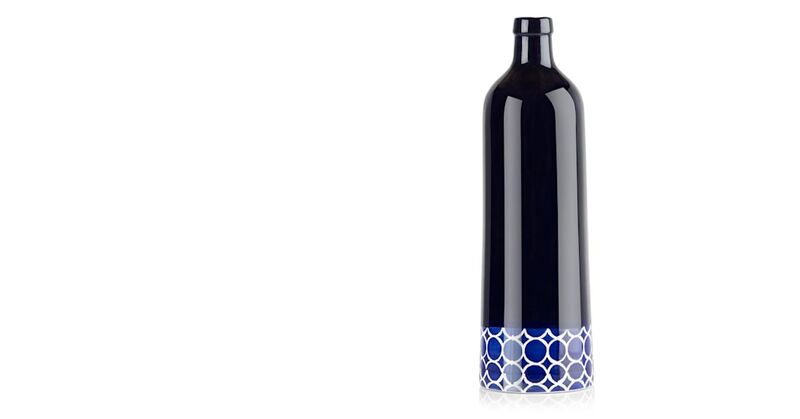 A decorative bottle that'll take pride of place on your bedside table, cabinet or mantelpiece. It looks great with small and single-stem arrangements, or empty. It was hand crafted by an expert manufacturer in Portugal. They glazed it inside and out to make it waterproof and eye catching - they succeeded on both counts. You have to hold it to appreciate the sleek finish, brought out by the bold colours. But you can still feel the rustic quality of the terracotta underneath.